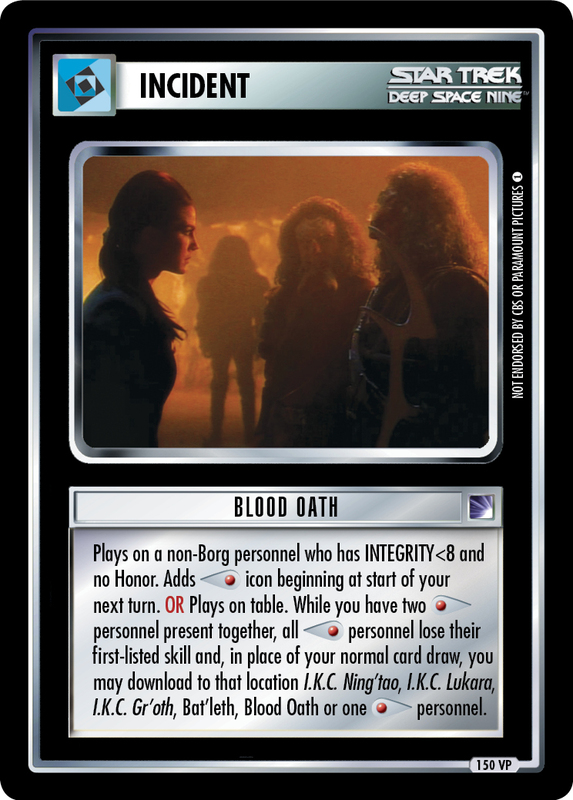 Plays on a non-Borg personnel who has INTEGRITY<8 and no Honor. 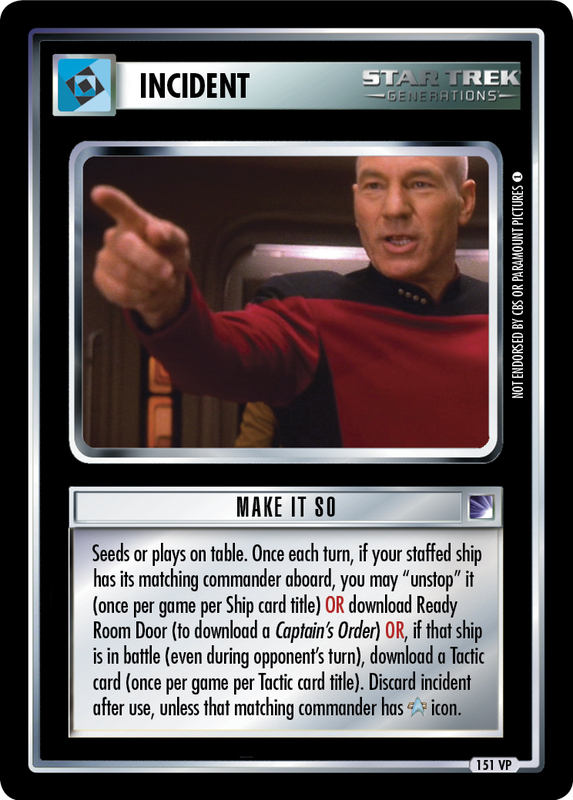 Adds icon beginning at start of your next turn. OR Plays on table. 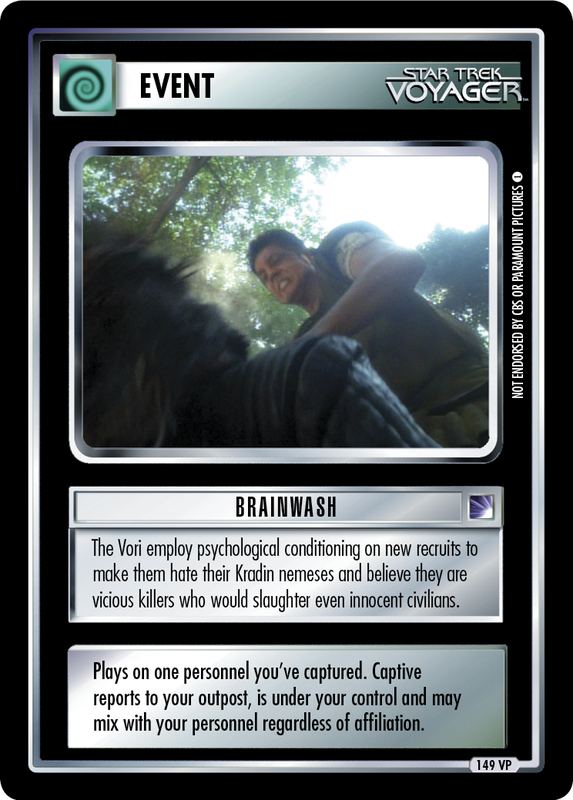 While you have two personnel present together, all personnel lose their first-listed skill and, in place of your normal card draw, you may download to that location I.K.C. Ning'tao, I.K.C. Lukara, I.K.C. 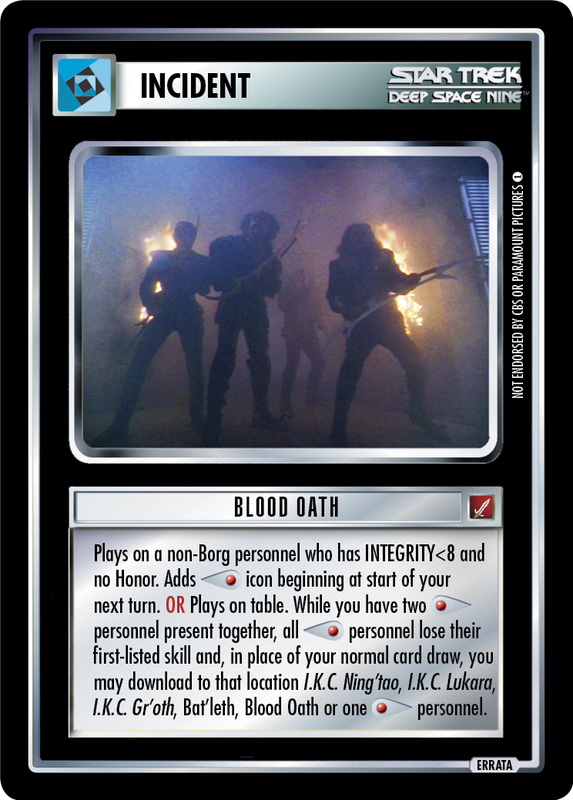 Gr'oth, Bat'leth, Blood Oath or one personnel.